Young untested Cavaliers can be risky parents. 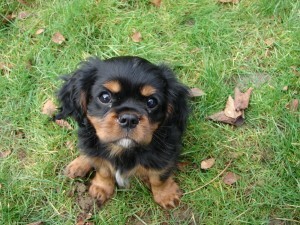 No responsible breeder would be breeding Cavaliers that are less than two and a half years old. 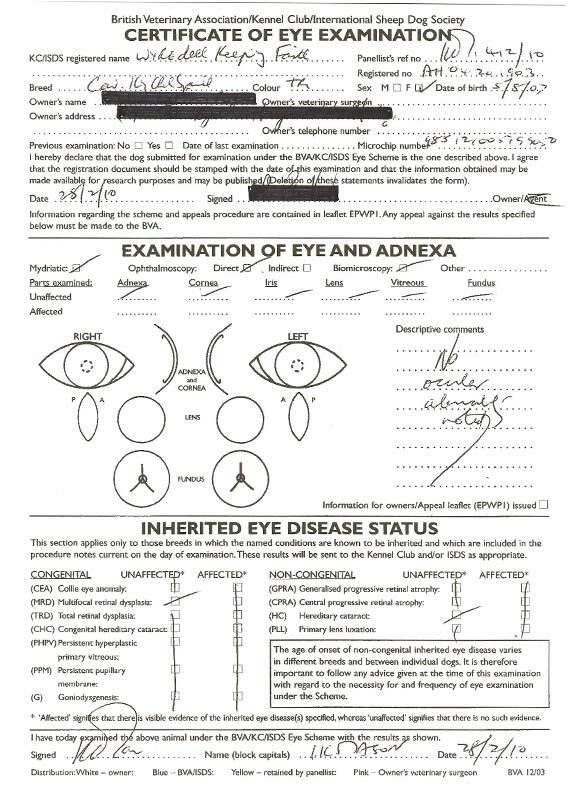 Check the age of both parents and the date on their certificates. 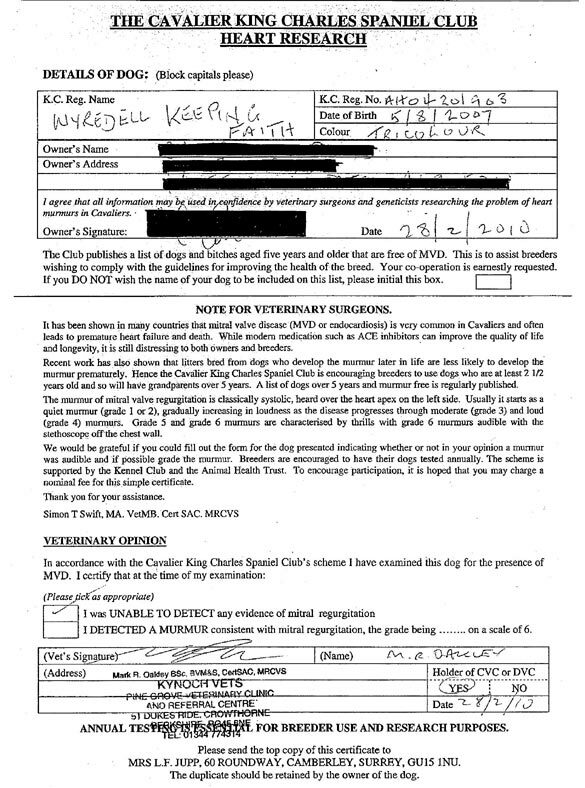 Cavaliers have two main inherited health conditions, the first is heart disease generally known as MVD (Mitral Valve Disease) and the second is a neurological problem, Syringomyelia, which nobody can pronounce so it is usually shortened to SM. MVD can cause Cavalier’s hearts to grow old too soon and can lead to early death through heart failure. SM is where pockets of fluid develop within the spinal cord and destroy nerve tissues. In some cases it can cause such extreme pain that very young Cavaliers need to be put to sleep. 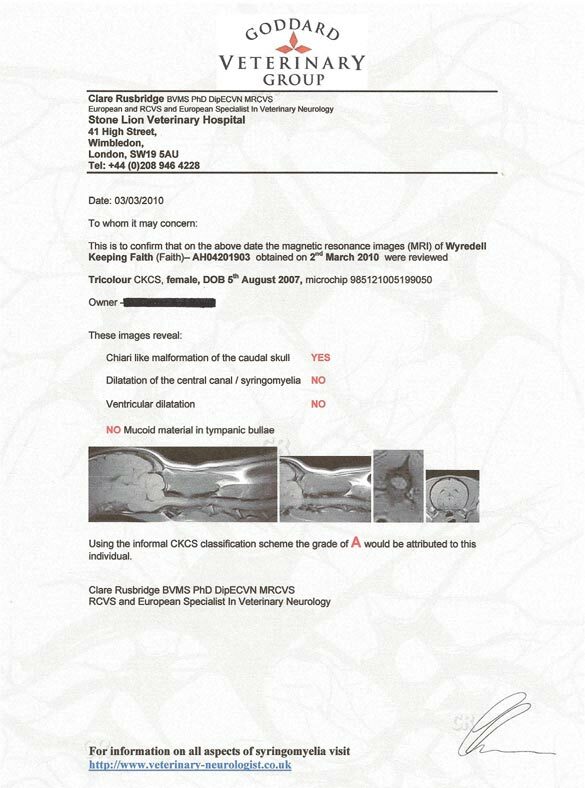 There has been an official scheme to test parent dogs for SM before they are used for breeding since 2012. The certificate for this BVA/KC scheme is a lilac colour. 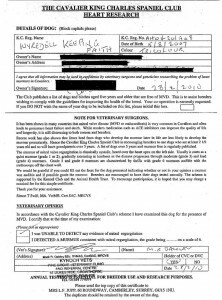 Some breeders scan their breeding Cavaliers for SM but for various reasons do not submit the results to the official scheme for grading. Other breeders have a variety of excuses for not testing their dogs at all. 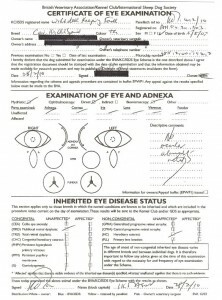 Cavaliers should also be tested for inherited eye problems, a certificate is shown below. 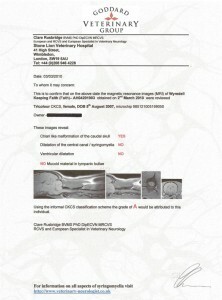 Below is an example of the old style SM certificate issued before 2012 and current heart and eye certificates. A responsible breeder should have certificates showing the results of these tests for each parent.